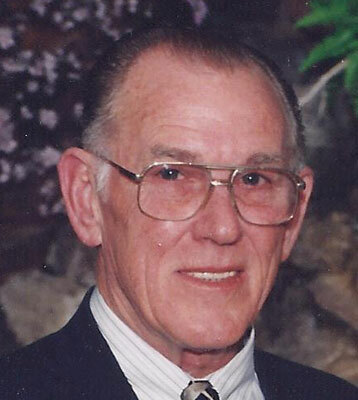 CANFIELD - Prayers will begin Saturday at 9:15 a.m. at the Higgins-Reardon Funeral Homes, Austintown Chapel, followed by a Mass of Christian Burial at 10 a.m. at St. Christine Church for Thomas P. O’Donnell III, 82, who passed away Tuesday, Jan. 21, 2014, at St. Elizabeth Health Center in Youngstown. Thomas was born April 15, 1931, in Ellicott City, Md., a son of the late Thomas P. O’Donnell Jr. and Teresa (Fuller) O’Donnell. Tom worked as a carpenter and construction foreman on the Baltimore Harbor Tunnel, the St. Lawrence Seaway and the Eisenhower Locks. He was then employed at General Motors for 30 years as a maintenance foreman. He was a member of St. Christine Church, the Local Union 101 Baltimore, a member of the 29th Division of the Maryland National Guard for 10 years, the Fraternal Order of Eagles 3298 and a life member of the Knights of Columbus. He was an avid gardener and outdoorsman. His wife, the former Sheryl L. Naftal, whom he married Jan. 1, 1996, passed away Feb. 4, 2008. Thomas leaves his daughter, Tracy (William) Grafton of Fair Lawn, N.J.; four sons, Thomas P. O’Donnell IV of Randallstown, Md., Timothy O’Donnell of Queen City, Texas, Todd O’Donnell of Leetonia, and Theodore O’Donnell of Bayse, Va.; 12 grandchildren; six step great-grandchildren; three sisters, Agnes Muhl, Kathleen Tallent and Mary Pearce, all of Baltimore; a brother, William O''Donnell of West Friendship, Md. ; adored nieces and nephews; friends; and his dogs, Sparky and Susie. Family and friends may call Friday from 4 to 7 p.m. at the funeral home. Burial will take place at Green Haven Memorial Gardens.